Launched exclusively in Harvey Nichols this month – and distilled just a couple of miles from the luxury Mailbox store – the new Daringly Dry D1 London Gin blends traditional craft with state of the art design. The distinctive ultra-smooth and versatile spirit has been created using a centuries-old distilling craft, however its reversible bottle couldn’t be more contemporary. Designed in collaboration with international artist Jacky Tsai, it features Tsai’s iconic ‘Floral Skull’ that was made famous through his work with Alexander McQueen. D1 London Gin has been perfected over two years at Warley-based Langley Distillery. Using a very narrow cut of triple-distilled spirit, this latest tipple uses juniper berries, coriander, orange and lemon peel, angelica root, cassia bark, orris, almond, liquorice and nettles selected by a master tea blender. The resulting 40% ABV London Dry Gin produces quintessential British flavours and aromas of orange, fruit tea and juniper with a distinctive blackcurrant nose that works perfectly with mint as a signature garnish. 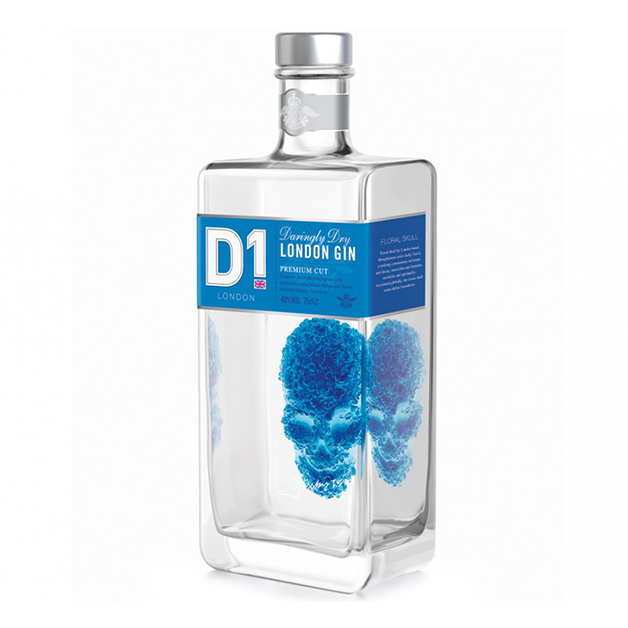 Daringly Dry D1 London Gin is available from the Harvey Nichols Wine Shop now, priced at £39.95.